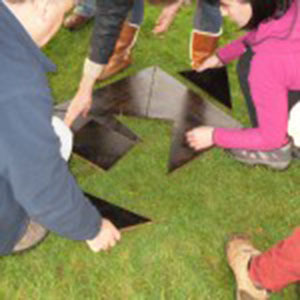 Dash is a fun, motivating and energetic team building activity that has a great impact on teams. It has something for everyone and creates a great environment for improving communication, productivity and encourage leadership skills. So, How Does The Dash Work? 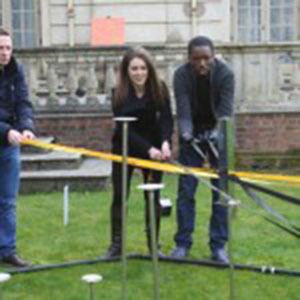 The teams are faced with over 20 different teambuilding activities set out in 3 different zones – Physical, Think and Quick Points. Points are available for the successful completion of each task and range from 1 point for an easy task, to 30 points for a difficult task. There is no time limit on each of the activities, the task is over when either it is completed, or the team decide that they cannot do it and must move on. Each team is presented at the start of the activity with an information pack with a brief description of each task and how many points it’s worth. After their planning time is up, the activity begins and the pace picks up as the race for points is on! Physical – Serendipity – retrieve a number of items from a no-go area using only limited tools. Can you do it? 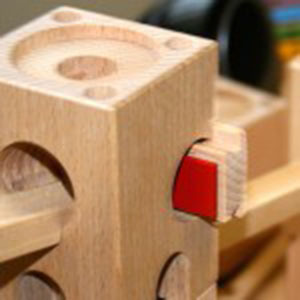 Think – Make That Tune – build towers with connecting runners to strike the plates to create the correct tune. Quick Points – Tangram – One of the oldest puzzles in the world! Can your team make a square using all the pieces?